Enjoy the perfect apéritif to add some sparkle to any occasion. Available for two or more guests all ordering a minimum of one main course. Authentic French cuisine prepared fresh by trained chefs. 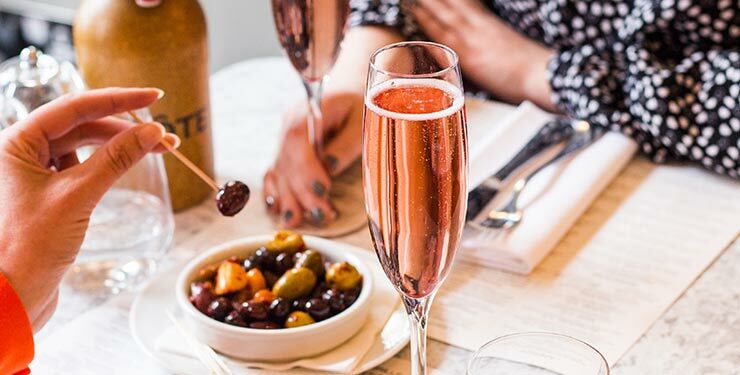 Enjoy a complimentary Kir Royale for you and your guests, when you book and dine at Côte Brasserie. The Côte signature cocktail, named after its jovial French creator, Lejay connoisseur Canon Felix Kir is an elegant mix of Blanc de Blancs Brut and Crème de Cassis and is the perfect apéritif to add some sparkle to any occasion. Great value set menus from £11.50. Stylish brasserie atmosphere, the perfect place to enjoy your Kir Royale with great French food. 1) Available to Saga Possibilities members when they book and dine through Saga online. 2) Available for two or more guests all ordering a minimum of one main course. 3) One complimentary Kir Royale per person over 18 years. 4) Cannot be used in conjunction with any other offer.